Liberty Automobiles, a leading UAE automotive dealer since 1976 and the authorised dealer for ACDelco, has further enhanced its ACDelco Service Centre in Rashidiya, Dubai with the introduction of RTA-certified vehicle licensing, registration and testing services for all GM models. Liberty Automobiles came up with the global ACDelco service centre concept, which can now be found across the world. The upgraded service centre of the American automotive spare parts and services brand, ACDelco, will cater to all car makes and will also be officially issuing RTA-certified license plates to General Motors customers. Rimoun Hannouch, group general manager of Liberty Automobiles, commented: “At Liberty Automobiles, we place a high priority on vehicle safety while also aiming to heighten customer convenience in line with our ‘Liberty Difference’ philosophy. 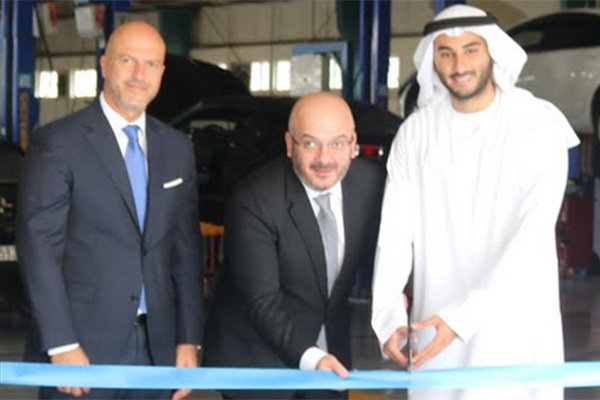 Mohammed Al Fayyad, Customer Care and Aftersales director for General Motors Middle East, said: “It is such a great milestone to see the first ACDelco Service Centre become an RTA-certified facility and contribute to getting the brand even closer to our customers in the UAE. The ACDelco Service Centre in Rashidiya is now certified to help General Motors customers with new vehicle registrations, re-registrations and periodic vehicle tests, as well as the tests required for transferring vehicle ownership. The facility can also perform comprehensive vehicle inspections and services to bring cars up to RTA roadworthiness standards. This all happens right at the ACDelco Service Centre, meaning that Liberty General Motors customers no longer have to make separate visits to RTA centres.